Hiking near 46 peaks, Lake Placid, New York, USA. Archana Singh photos. As I drive down the winding road, the wilderness stretches out before me like a dreamscape – shadowy and silent in the blue hour. The wonderful wilderness takes over the reins from the city in motion. Open skies replace skyscrapers. I am the lone driver on the spectacular but sleepy highway. Rafting in the Hudson River in New York State’s Adirondack Park. The five-hour drive from New York has drained me but this is no ordinary journey. I’m making a pilgrimage to the Adirondack Park in upstate New York. A place where on the damp night of September 14, 1901, Vice President Theodore Roosevelt made his legendary night ride from the Adirondack Mountains to the Presidency of the United States of America. A region where the word “vacation” was invented as the richest and most powerful men in the US started vacating their homes in summers to spend time in the clean and soothing surroundings of Adirondacks. From Ralph Waldo Emerson, Thoreau, Roosevelts, Rockefellers, Vanderbilts, Morgans, DuPonts to Mark Twain; everyone got gripped by the spell of Adirondacks. The Adirondacks is historically the most important but least known park in the US. At 6 million acres, it’s the biggest in the lower 48 states – larger than Yellowstone, Yosemite, Glacier and Everglades national parks combined. The Park is incredibly wild with vast forests, more than 2,800 lakes, 46 peaks above 4,000 feet, 55 species of mammals and 218 species of bird. Adirondack Park view from Owl’s Head mountain. Unlike other Parks, there is no entrance fee, no gates, just endless natural preserve and the promise of adventure in every part. It remains the only constitutionally protected “Forever Wild” forest in America. It is this vast expanse of wilderness that draws people from near and far. Health and Adventure are not nouns here but a verb. “The Adirondacks are a living playground for outdoor people. We don’t need a gym to stay fit. We just hike or ski in our backyard. We have this 6-inch rule – if it snows more than 6-inch, you can officially take half day off and go skiing” says Kim Rielly, Director of Communication, Visit Adirondacks. Adirondacks is a region where you’ll find scenic beauty and friendly folks in all Four seasons – from summer days kayaking on Saranac Lake, hiking 46 peaks ablaze with autumn foliage, cross country skiing on powdery slopes to fly-fishing in Spring. And no matter what type of adventure you crave, Adirondacks satiates it – from Scenic hiking, mountain biking, white water rafting, kayaking, canoeing, horseback riding, fly fishing, snowboarding or triathlon. Usually, if you meet someone for the first time, you invite them for a coffee or a meal. But at Adirondacks, you invite them for a hike. My first meeting with Kim was at Owl’s Head mountain. The hike in the great outdoors rewarded me with pure air, grand scenery and a bird’s view of the region that no photoshopped catalog can match. Hiking or mountain biking is the only acceptable currency here. Valleys carpeted with multicolored wildflowers in spring or the annual outfit change of autumn foliage is a sight to behold. The view from the 46 high peaks is beyond spectacular. The higher you go better the view. There is no shortage of choice of hiking trails in the Adirondacks. From easy to advance, from an hour to several days. When you have 2800 lakes, 30,000 miles of rivers, streams, and ponds, you can’t stay away from cruising the crystal-clear waters for hidden scenic views and exceptional wildlife. 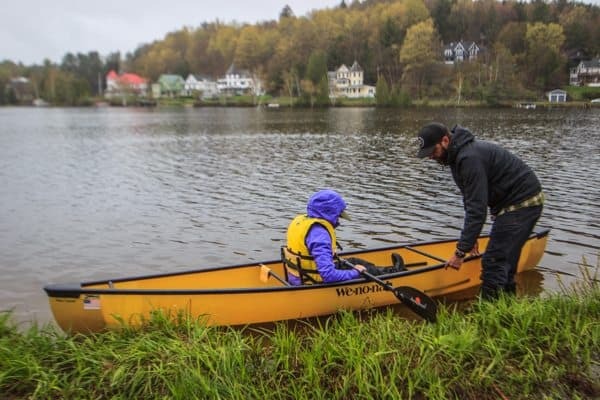 In Adirondacks, you don’t rent a Kayak you own it. Kayaking goes on irrespective of rain or shine. I kayaked recently so I opted for talking to the friendly locals, shooting the golden hour and enjoying the Mirror Lake views from the classic Adirondack chairs. Horseback riding along the Long Island shoreline is another way to savor the wonderful wilderness of the scenic Lakes. small villages, rivers and dozens of lakes. Very rarely I come across an oncoming car. It’s early in the morning, the sun had taken a day off. Occasional showers and gray clouds entertain me throughout my 1.5-hour journey. This is pure joy. Along the way, I drive past several crystal-clear Lakes like Indian Lake, Long Lake, and Tupper Lake. Few have seaplanes parked on them. As I reach my destination, I am given a complete rafting gear and detailed instructions by Bob and his team. 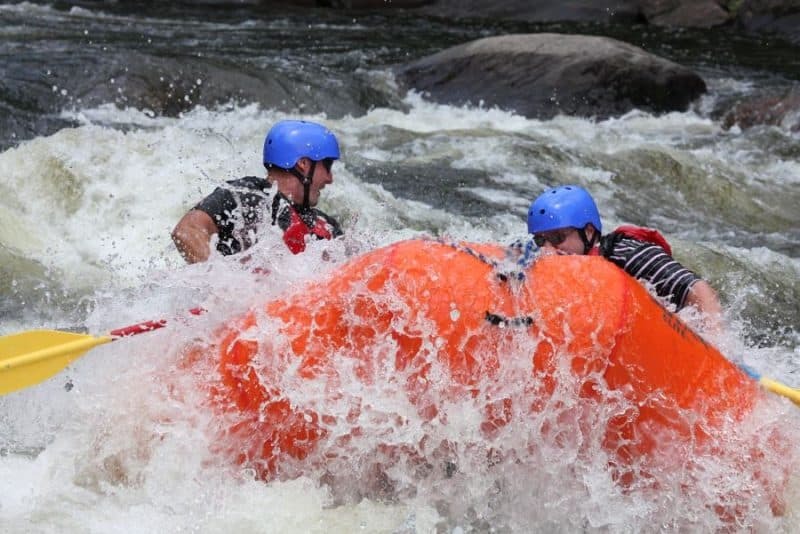 I enjoy the 15 miles of torrential action and dozens of breath-taking class IV and V rapids. We stop over for an on-river snack break. After which we continue our adventurous raft journey along wooded shores, into gentle eddies surrounded by towering cliffs. As I spend more time in Adirondack, I get more interested in knowing about the 19th century extravagant gilded age Elite. 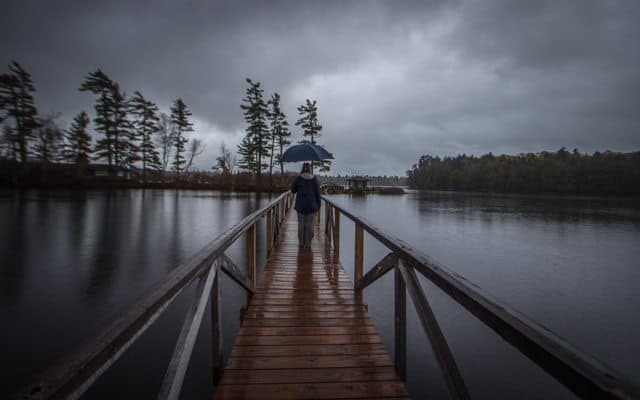 On a rain-swept day along with Carrie, my trip-organizer-turned-friend, I drive down to get a peek into the wealth and charm of Adirondack Rustic. At the end of a two-mile dirt road, White Pine Camp stand surrounded by water on three sides and towering pine trees on the fourth. Cabins painted green and black blend into the woods and there is an eerie sense of seclusion. The historic Great Camp is an assertion of rustic yet luxurious retreat, fitting in with nature. The material used are shingle, stone, wood – all found in the park. 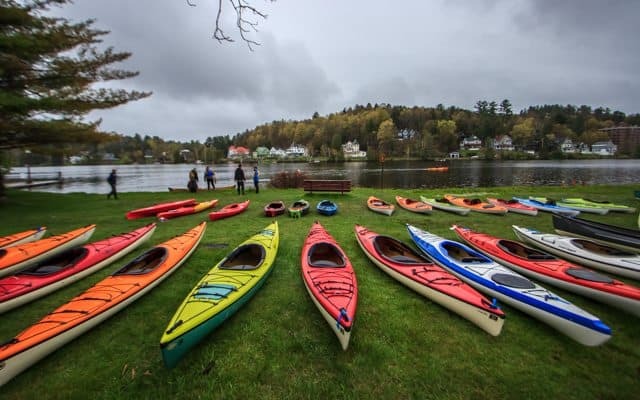 Recreation has many forms here – grab a canoe, rowboat or kayak from any of the two boathouses and go boating, swim in the crystal-clear waters of Osgood Pond, hike in the Great trails just minutes away or bowl in the vintage bowling alley used by the President himself. Once called the “Summer White House” of President Calvin Coolidge is now open to the public – you can stay here at as low as $95 per night in winters and $155 in summers. 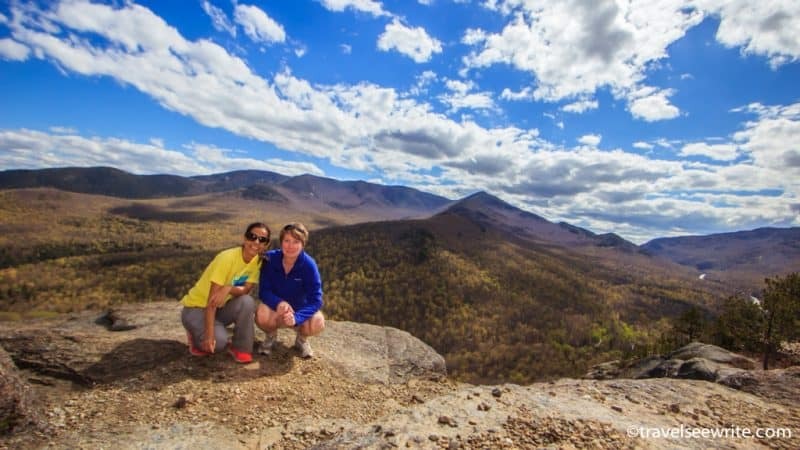 After spending time in Adirondacks, all I can say is – a visit to Adirondacks as a solo traveler is great but, friends and family make this region even better. It is not overrun by tourists. Once you visit – you’ll always return. That’s the spell “Forever Wild” Adirondacks cast on you. Bitters and Bones at Saranac Lake for local brews and chili maple wings. Archana Singh is a Brand Strategist turned Travel Journalist. An award-winning Travel Writer and a Public Speaker who likes to visit offbeat places and share untold human stories. She publishes her travel experiences on Travel See Write and regularly contributes to international publications and online journals. When she is not traveling, or documenting her experiences, she makes brand strategies for some of the most iconic brands in the world.